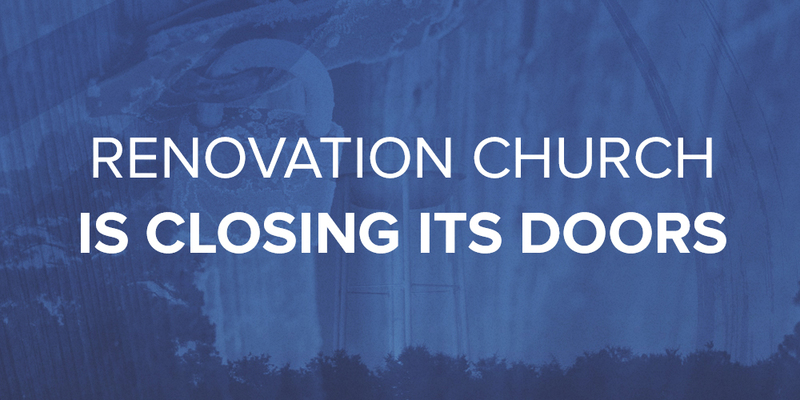 What an incredible journey it has been – seeing all that God has done in the life of Renovation Church. Now we must tackle one of the greatest opportunities and important challenges we've faced. Growth can be exciting and even sometimes overwhelming. It can bring about great clarity or great confusion; it can engage people or enrage people; it can serve as catalyst for exponential reach or exponential setbacks. To continuing growing as a church, it’s important for us to understand and know how to properly respond to GROWTH. One of the greatest challenges for any new start up company, organization, or even church, is the ability to grow in a healthy way. The ability to move from simplicity to complexity. In fact, we can see the reality of this challenge in the growth of our personal family dynamics. When a couple unites together in marriage they have the simplicity of the honeymoon phase. This is when a couple begins to work out what it means to enjoy, serve and love each other. “Let the adventure begin!” they’ll say. Time will pass and growth will be desired. Therein, the joyous announcement of a new addition comes. This next chapter for a growing family brings excitement yet complexity… and it doesn't end there. With it comes the possibility of more kids, pets, school, homework, practice for sports, time with the in-laws, you name it! The simplicity experienced initially in the honeymoon phase is replaced by the complexity of family growth and demands. The responsibilities of a growing family can hit you like a tsunami unless you understand and properly respond to that growth. The early church experienced the same tension and pull of a growing family. The book of Acts gives us great insight on how the first church grew in a healthy way. It’s a great blueprint for moving from simplicity to complexity and it allows us the ability to keep the mission front and center. In Acts 5, the numeric growth curve is off the charts. “And more than ever believers were added to the Lord, multitudes of both men and women…” (Acts 5:14). Believers were multiplying rapidly and they weren’t exempt from encountering all the natural challenges that come with growth. The ability to move from simplicity to complexity was essential for the mission of reaching every man, woman, and child! The early church grew both large and small (at the same time). See Acts 2:46. While placing an emphasis on both the gathering of believers in the Temple courts, they also encouraged the gathering of believers in homes, around the dinner table, where they knew true community would take place. We celebrate as a church family during our Sunday gatherings but we have to place an emphasis on authentic community that takes place in a home environment to grow on a deeper level. That’s why we will have Missional Community Groups launching in our near future. The early church equipped and appointed new leadership as needed. See Acts 6:3. The leadership of the early church equipped and empowered people to carry out the vision. They knew it couldn’t be done by a few who did it all. They kept the duplication of leadership in mind as they appointed and invited others to join with them in the task of bringing others to Christ. We know that all believers can help in reaching every person with the message of the Gospel when they own the vision of living on mission. Which is exactly why the church has to be in the business of developing and reproducing leaders. The early church got it—they needed a simple strategy that allowed the church to grow (increasing complexity) in a healthy, effective way. Through it, they engaged and equipped; they reproduced and served people wholeheartedly; and most importantly, they reached people... by the thousands. This is our hope too—It’s why we do what we do to reach our community for Christ. Sundays aren’t for church anymore. In fact only 25% of Americans actually treat Sunday like a Holy day. So what about the other 75%? They’re not at church. They're home enjoying football, napping, golfing, hunting, fishing (you name it). Renovation Church is all about celebrating. It would be easy to count who is attending and get excited about how God is bringing new faces every week, but filled seats are not what motivates us — It’s the life-changing power in the name of Jesus. A vision and mission for reaching EVERY man, woman, and child with repeated opportunities to see, hear, and respond to the Gospel. So what if we stopped counting those who fill our seats, and started counting those in our community who aren’t? If only about 25% are actually going to church, that means about 7 out of 10 people are NOT attending church on Sundays. For our area, that’s about 16,000 people. Let that sink in. Now think on this: Hampstead is a thriving community FULL of families — some have been here for years, others recently relocated. It’s a community that will rally around building local business while also staying true to their fishing roots. They love their families, and they love a good event FOR the family—It’s no wonder why the Spot Festival draws THOUSANDS of people every year—because it both promotes a family environment AND their local business. So if Sundays aren’t for church anymore, what can we do about it? We can forego a Sunday morning gathering so that the 16,000 who wouldn't normally set foot in one of our environments can participate in a community-wide event that they will want to attend.We can work hard to be what we stand for—to create intentional, outside-of-the-box opportunities to engage those who would never step in our doors.We can do as Jesus clearly commanded — abandon the 99 to reach the 1 (see Matthew 18:22). So come join us this Sunday, October 11th for our first-ever Party In The Park at 12pm out at Kiwanis Park. Food Trucks, FREE inflatables, face painting, crafts, music, and giveaways! Oh, and by the way — We’ll reopen the doors back at Topsail Middle School, 10:30am on Sunday, October 18th. It will be an incredible morning celebrating the wins from Party In The Park — So be sure to join us for that party too! Our belief is that christians should celebrate and celebrate often. Has there ever been a group of people with a better reason to celebrate than the church? So guess what? It’s time to party. But here’s the truth… we’re not actually throwing the party—we’re joining it. It’s a party that’s been happening since death was overcome by the work of Christ on the cross. The misconception is that the Church shouldn’t party. There's a stigma that it's boring and lifeless. To Jesus, new life was worth taking a time out to party. As God's people, we have abundant life given through Jesus. This means we should be the greatest expression of love, joy, excitement, and celebration that the world could ever know. Renovation is all about lives being renovated by the love of Jesus. And we’ll celebrate often through recognition of God at work—celebrating every life that begins that renovation process, no matter where they are in the journey from being lost to being found. A heart of surrender is ultimately what we’re after. When that collides with the gift of love, fueled by compassion, it will always bring about a heavenly celebration. So, in the same vein as Wayne and Garth from Wanye’s World, “Party on, Wayne! Party on, Garth!” So party on, Church! Turn the music up—Every new life is worth it. When serving gets uncomfortable, unpredictable, messy. I spent the next year stumbling through building a relationship with a woman my age, whose story was nothing like mine. Escaping intense persecution from Southeast Asia, she and her family were relocated to America through refugee resettlement. She had nothing but a few personal items, I had everything I could ever ask for. Every week I showed up to take her to places that I felt represented “America.” Her English improved and we were able to really share and understand each other’s life. I learned about the horrors she endured and we built a friendship despite all our differences. As much as I was pouring in to her life, I was receiving back threefold. My heart was changing and I couldn’t go back to where I had been. God kept propelling me forward, finding more ways to get involved, more refugees I could befriend. Eventually, I just couldn’t contain this passion He had inserted into my heart. Only our God can take a white, middle class, stay-at-home, homeschooling mom and turn her world upside down. All I could think about is how to get everyone I knew involved in helping persecuted people rebuild their lives. It started with my own family, watching them fully put their energy in to serving refugees. Then, I started to bring my friends in to this passion by organizing events where they could come serve. God wasn’t only changing my life, but He was working in the lives of those around me. 1. It costs TIME. When we start doing the things God says, we quickly learn that step one is showing up. There is no way to “virtually” serve people. FaceTime can’t serve a meal to someone who is hungry. We can’t Facebook our way in to a prison to love on people. We have to actually, physically be there. This means, schedules get rearranged. A lot of “no’s” must be said so that I can say “yes” to what matters to God. God wants us to put in the relational deposits that will really give us the leverage to ensure that every man, woman and child have repeated opportunities to see, hear, and respond to the Gospel of Jesus Christ. 3. It costs COMFORT. It is awkward to try to communicate with someone who doesn’t speak the same language. It can make us feel weird to sit in a home that looks nothing like our own and strike up a conversation with someone, whom on paper, we have very little in common. People’s lives are messy and it can be unnerving to enter in their messes. BUT, the more we are willing to give up our own personal comfort, the more opportunities God presents us with opportunities to be a part of something so much bigger than ourselves. When we give up our own comfort, we get to be a part of HIS story unfolding before our very eyes in our local and global community. It is hard to let go of our time, relationship, and comfort. We can all convince ourselves that staying within our church walls is enough. However, there is an entire world around us aching from genuine hunger, thirst, loneliness, nakedness, sickness, and imprisonment—Physical needs that need to be met in order to even have the opportunity to address spiritual ones. The question remains for each of us: are YOU willing to pay the cost to hear Jesus Christ himself say, “Whatever you did for one of the least of these brothers and sisters of mine, you did for me”? This week’s blog is a continued story from guest writer, Catherine Fitzgerald. Read the beginning of her story here. For more information on getting involved in any of our React Mission Opportunities, please email react@renovationonline.org. When serving is comfortable, predictable, sanitized. Reaching the least of these shouldn’t have been easy—and that’s how I liked my world. I had convinced myself that was what God wanted for my world too. I was doing lots of things, really good things for Him. I was busy, serving within the four walls of my church. It was easy for the most part. It felt good. But in the summer of 2012 God wanted to grow me up spiritually, taking me on a journey unlike anything I’d ever been on. Me: God, I think when you say hungry, thirsty and such, you really mean those who are spiritually or emotionally in that state. So, technically, I’m serving people who are spiritually “hungry” and “thirsty” so we are good then! (Lift hand for celebratory high five) God: (shakes his head) No, I’m being literal here. Me: Like literal literal or like figurative? God: Like literal literal. Me: Ok, but I don’t think you understand. I’m pretty busy doing stuff. Good stuff. Stuff for you stuff. I don’t really have the time, and besides, look around me. I don’t exactly know a lot of hungry, thirsty, strangers in need. God: Exactly. To read more on Catherine’s journey, join us back here next week for, When serving becomes uncomfortable, unpredictable, messy.